Mobility, the cloud, big data, and data security trends are creating high expectations for businesses of all sizes. 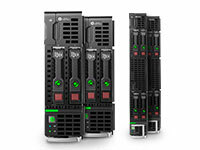 These modern IT demands are driving a major shift away from a traditional "server-based" approach to a new "compute" approach that accelerates IT service delivery, lowers costs, and fuels business growth.Intelligent Hewlett Packard Enterprise servers give you the freedom to reimagine the server and start thinking in terms of compute for your business. 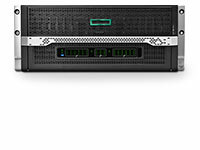 No matter what your size, there is an HPE ProLiant server that is just right to help you meet increasing user and customer demands - even when time, money, and technology resources are stretched thin. The next-generation architectures from HPE Converged Storage – featuring HPE 3PAR StoreServ Storage, HPE StoreVirtual Storage and HPE MSA Storage – offer a solution that enhances and simplifies any virtualized client or server project. 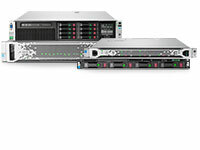 HPE BladeSystem and HPE OneView deliver a single infrastructure and single management platform with federated intelligence, automated for rapid service delivery and rock-solid reliability. 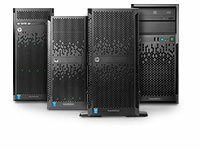 Industry-leading innovations in the HPE ProLiant Gen9 tower portfolio include simple management and storage tools, along with proven configurations that provide easy remote access and improved energy efficiencies. 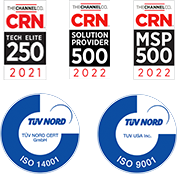 Compute, storage, networking, and software as one, optimized for virtualization and a variety of workloads. HPE ConvergedSystem gives you lower cost of ownership and greater flexibility to meet more business demands. 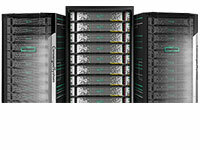 HPE Apollo high-density servers are rack-scale compute, storage, networking, power, and cooling - massively scale-up and scale-out - solutions for your big data analytics, object storage, and high-performance computing workloads. The ultra-converged HPE Moonshot delivers workload-optimization with breakthrough economics. 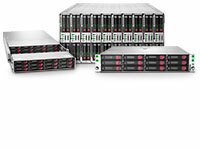 Get modular scalability with less space, less power consumption, and less complexity.